U.S. Postal Service employees and retirees received a scare last month when the Office of Personnel Management reported their share of their health care premiums would skyrocket nearly 19 percent in 2015. USPS, however, said the reality is not so bad. OPM said labor-postal management negotiations were to blame for the average postal enrollee in the Federal Employees Health Benefits Program encountering an increase nearly five times that of rest of the federal workforce in 2015. The government contribution, OPM said, would actually decrease 0.9 percent. The Postal Service said the increase in the employees’ share will be far less dramatic, however. Bargaining-unit employees will pay an average of just 1 percent more toward their insurance premiums, according to a USPS spokeswoman, while non-bargaining workers will typically see a 3 percent increase. The overall average premium increase will be 3.4 percent. USPS will not know exactly how much more each employee is paying for his or her health care until the individual workers choose their plans during Open Season, which is currently under way. Postal officials said they were “actively working with OPM” for clarification on the colossal gap between the estimates calculated by the human resources agency -- which is responsible for negotiating premium rates with carriers providing coverage in FEHBP -- and their own, but they have not heard back. An OPM spokesman told Government Executive to clarify the 2015 premium changes with the Postal Service. The Postal Service will pay 77 percent of bargaining-unit employees’ weighted-average premium in 2015, down 1 percent from 2014. For non-bargaining workers, USPS’ share dropped from 75 percent this year to 72 percent next year. 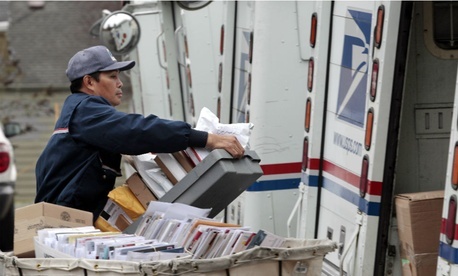 The share paid by the Postal Service for unionized workers is determined in the collective bargaining process, while that paid by non-unionized employees is established through “pay consultations with the Postal Service management associations,” the spokeswoman said. Non-postal federal employees will pay an average of 3.8 percent more for their FEHBP plans next year, according to OPM. All federal workers, both postal and non-postal, have through Dec. 8 to choose a new health plan if they intend to do so.